Image from photo album documenting Kenneth E. Wells's April 1935 journey to Chiang Rung (Kiulungkiang) and Keng Tung; also family, missionary colleagues, and friends. Images documenting the construction of the society's building at 425 Lombard Street, Philadelphia, PA.
Phineas Gurley served as chaplain of the United States Senate in 1858 and as moderator of the General Assembly in 1867. He is perhaps best remembered for having been the pastor in attendance at the deathbed of Abraham Lincoln and for the sermon he preached at the President's funeral. The Phineas Densmore Gurley Papers include photographs, correspondence, and manuscript sermons, including a facsimile and transcript of "Faith in God," the sermon Gurley preached at the funeral of Abraham Lincoln, and a transcript of the sermon he preached at the funeral of Lincoln's young son, William. Album documenting Kenneth E. Wells’s April 1935 journey to Chiang Rung (Kiulungkiang) and Keng Tung; also family, missionary colleagues, and friends, circa 1930-circa 1936. Photographs from the Presbyterian Life and AD Magazine photo morgue. Five radio spots, approximately one minute each, concerning Cuban refugee relief in Miami. Produced with cooperation of the UPCUSA Division of Radio and Television. Representative of Lutheran Emergency Center speaking in the name of Rev. E.F. Gruell about distribution of food to refugees -- Rev. Humberto Carrazana, Methodist Com. of Overseas Relief speaks about resettlement of refugees -- Carmen Ibanez, social worker, Latin Episcopal Center, concerning English lessons being given to refugees -- Rev. Sosa, First United Presbyterian Church, Miami, concerning resettlement of refugees -- Rev. Sosa's wife, describes kindergarten for refugees supported by the Church. One of a series of interviews conducted by Charles E. Quirk in connection with a research project entitled: The United Presbyterian Church and Race. Mrs. Bill Lytle discusses her experiences as the wife of the Moderator of the United Presbyterian Church. Interview conducted by Lois Boyd and R. Douglas Brackenridge. Interviews with Arab Christian Palestinian refugees in East Jerusalem, recorded May 8, 1964, in Jerusalem. Includes Najib Khoury, secretary for the Anglican Archbishop of Jerusalem; Herbert Schwartz, director of the Mennonite Central Committee in Jordan; William Alonzo, clerk, Bank of the Middle East. Notes indicate interviews are "radio programs for John Groller." Groller was director of the United Presbyterian Church in the U.S.A. Division of Radio and Television. Radio station WSB's broadcast of "Witness," a public affairs program on the Second Ministers' Manifesto, 1958. In November 1957, after witnessing the school integration crisis in Little Rock, Arkansas, eighty members of the Atlanta Christian Council issued a statement of conscience discouraging city officials and ordinary citizens from pursuing a course of massive resistance to federal authority. Better known as the "Ministers' Manifesto," the statement called for moderation, communication between the races, racial amity, and most importantly, obedience to the law. One year later, after the Temple bombing in Atlanta aroused new fears of racial extremism, more than 300 ministers issued a second manifesto calling for the creation of a citizens' commission to debate alternatives to massive resistance. Radio broadcast by Good News Radio on the arrival of Cuban refugees, resettled in Newark from Miami in 1962. Includes brief interviews with refugees deplaning. Concludes with remarks by Eugene Carson Blake. Kenneth Neigh, General Secretary of the UPCUSA Board of National Missions, interviewed by Susan Miller of the Presbyterian Historical Society. Consultation on foreign missions, including Chile, Brazil, Cameroon, Syria, Lebanon. Buck Hill Falls, Pennsylvania, after 1957. Includes partial radio broadcast of "You Bet Your Life," followed by R. Rolland Armstrong's account of Presbyterian mission work in Alaska from 1940 to 1966. Sheldon Jackson College broadcast of radio interviews of teachers, before 1959, including Elizabeth Peters, Maud Holt, and Frank Latta. Rev. 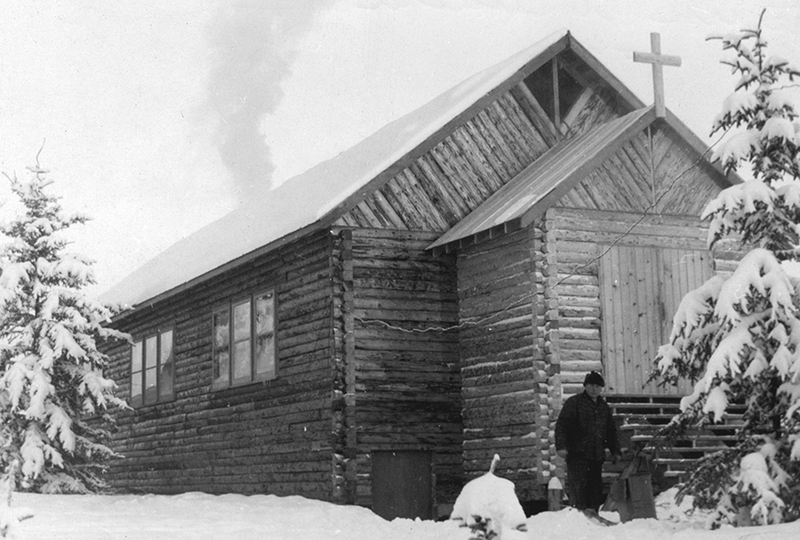 Bingle describing his life as a minister in Alaska. 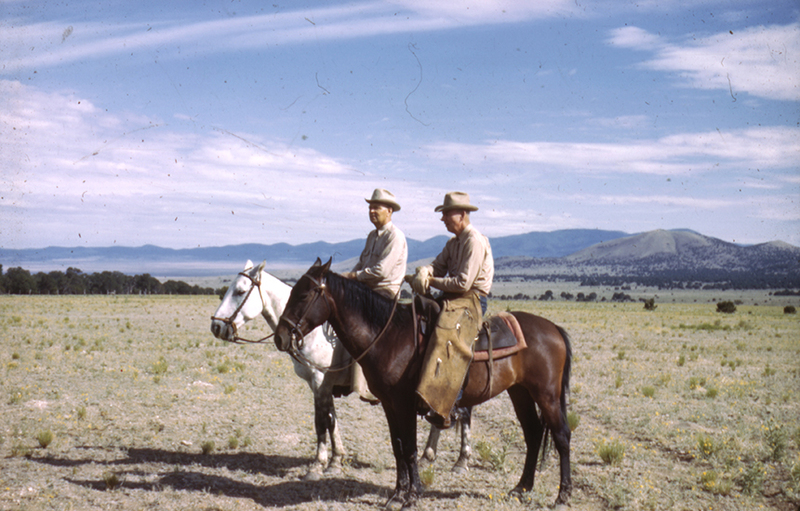 The story of Ralph Hall and Sunday school missions in the Southwest, circa 1945. Includes footage of commissioners Lewis Mudge and Robert Speer; scenes outside of meeting; close-ups and group shots of meeting participants; aerial views of Tulsa; oil refineries; and First Presbyterian Church. Contains caption frames identifying participants. Board of Pensions promotional filmstrip, introducing the Service Pension Plan. 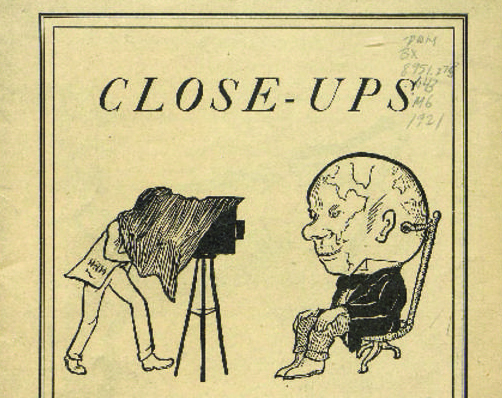 Script by Helen L. Kromer and Robert H. Heinze. One in the series, "Making Tomorrow," on the work of the boards of the Presbyterian Church, U.S.A.